Ariane Medical Systems Ltd will be exhibiting the Papillon+ x-ray brachytherapy system at ESTRO 38. We will be based at Booth 5000.
https://www.arianemedicalsystems.com/wp-content/uploads/2019/03/banner_estro-38.jpg 200 518 Ariane https://www.arianemedicalsystems.com/wp-content/uploads/2016/10/logo.png Ariane2019-03-12 08:58:252019-03-12 08:58:25ESTRO 38 - 26-30 April 2019, Milan, Italy. GHP Magazine has announced the winners of the 2019 Biotechnology Awards. 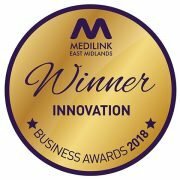 Ariane Medical Systems Ltd was delighted to be announced winners of the Most Innovative Cancer Treatment Manufacturer – Midlands regional category. Following on from our Medilink Innovation Award in June 2018 this award further shows how Papillon Brachytherapy Systems have brought new life to an old cancer treatment technique. The Symposium on Primary Breast Cancer in Older Women is a biennial event, it has been hosted by The University of Nottingham under the auspices of the International Society of Geriatric Oncology (SIOG) since 2013. 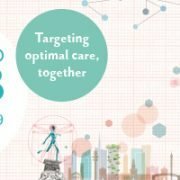 The theme for the March 2019 event is Optimising treatment in older breast cancer patients: this is precision medicine too!. The event is attended by members of multidisciplinary clinical and research teams. Taking place at the East Midlands Conference Centre, University Park, Nottingham, NG7 2RJ, UK, on Friday 1st March 2019. Attendees include breast surgeons, oncologists, geriatricians, pathologists, clinical nurse specialists, researchers, and their trainees, as well as patient advocates. Find us in HALL 7, Stand C50/12 , ABHI UK Pavillon, Arab Health, 28-31st January 2019, Dubai World Trade Centre, Dubai. Ariane Medical Systems Ltd will be exhibiting at Arab Health 2018 in Dubai. Following the successful uptake of our Papillon 50 device throughout the UK and Europe we look to build a worldwide customer base for our Papillon+ X-ray brachytherapy system. In order to achieve our goals and bring Papillon treatment, to an increasing number of patients, we are seeking international Distributors. Delegates from Ariane Medical Systems Ltd are attending this years’ 6th GEC-ESTRO Workshop in Brussels, Belgium. 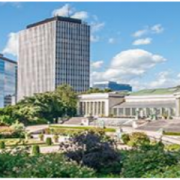 The 6th GEC-ESTRO workshop will cover different aspects of not only theoretical but also practical ideas on how to perform brachytherapy in an optimal way. Each working group will cover a site-specific aspect of brachytherapy. Besides the scientific part of the workshop, there will also be an opportunity for networking and exchanging of ideas amongst the delegates. Ariane Macmillan Coffee Morning – 28th September 2018 10am to 12 noon. Join Ariane Medical Systems as we host our Macmillan Coffee Morning on 28th September 2018. 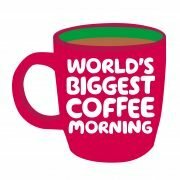 Our coffee morning will take place between 10 am and 12 noon at Ariane Medical Systems Ltd, 151 Mansfield Road, Alfreton, DE55 7JQ. The dates for this years 2-day Papillon 50 training course have been announced. This year’s training will take place on Tuesday 9th & Wed 10th October 2018. The course will be held in the Venue room of the Papillon Suite, Clatterbridge Cancer Centre. The course is open to anyone who is interested in learning all aspects of the Papillon treatment from patient/tumour selection & qualification, through treatment to follow up regimes. 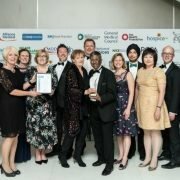 A coveted British Medical Journal award was recently bestowed on the Papillon team at The Clatterbridge Cancer Center. The Cancer Care Team category was won by the entry—Papillon for Rectal Cancer. This life-changing treatment was pioneered by The Clatterbridge Cancer Center when Lead Papillon Clinician Professor Arthur Sun Myint initially introduced the method to the United Kingdom, more than two decades ago. He stated that the honour was the reward for the team’s hard work and their philosophy of always putting patients’ interest first. The award from Medilink East Midlands recognises our Papillon+ device. For its contribution to improving outcomes for rectal cancer patients. Because Papillon+ treatments can be completed on an outpatient basis, the Papillon+ x-ray brachytherapy system can reduce treatment times. As well as preventing the need for radical surgery, which often results in a Stoma. The Phase III trial called OPERA which started in France at the end of 2015 has now passed Ethics here in the UK.